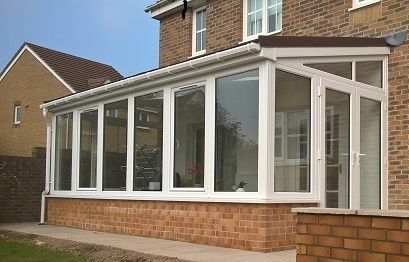 The SupaLite Roof System has been designed to be installed as a retro fit onto existing conservatory window frames, converting your conservatory into a usable all-year-round sunroom, with the option of having a new sunroom built from scratch should you require us to provide this complete service. When you specify a SupaLite Roof, you will benefit from in-depth research and enormous investments that have arrived at the perfect new sunroom roof. With solid roof sunrooms now on house buyers’ wish lists over cheaper conservatory alternatives the initial financial outlay will be recouped should you ever decide to sell, unlike other roof options. The reason for this is simple; the SupaLite roof Dartmoor Windows use has undergone exhaustive testing, design and re-design to arrive at a product for every sunroom roof design and configuration. With changes to Building Regulations in September 2010 it is now possible to specify a tiled, solid and lightweight roof for your Sunroom. Dartmoor Windows aim, along with Spectra, our Supalite fabricator, is to ensure that you don't install a cheaper, inferior product to your new conservatory framework and do not breach Building Regulations by choosing the wrong roof or modifications to your existing roof as this could, potentially, be unsafe and a waste of your time and money. The SupaLite Roof is a revolution in the conservatory and sunroom industry. It is providing owners of tired, old and energy inefficient conservatories with a radical and practical solution to extreme temperature fluctuations, and with clients wishing to create an amazing all-year-round living space, the Supalite Roof in conjunction with either uPVC or aluminium frames will always help create an amazing sunroom. Want more information on the Supalite roof system click on this link?